Delete is the ActionLink Name. 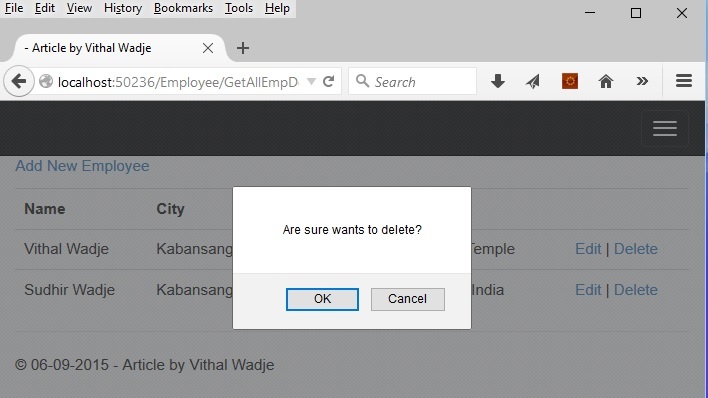 DeleteEmp is the ActionResult name . EmpId is the unquie id from which specific records are deleted. I hope from all preceding examples , You have learned how to show alert box Action Link click in ASP.NET MVC. I hope this article is useful for all readers. If you have any suggestion then please contact me.